Once, DEATH ITSELF was captured inside a sack of all things, by a childhood friend of EGON SPENGLER. Spengler talked his friend into releasing Death, and the entity took note of the GHOSTBUSTERS for the first time. Some time later, Egon was killed by an immortal warlock and resurrected by an Irish faerie. (These things happen when you work with the paranormal) and Death had to decide what he would do about it. Egon wasn't supposed to survive, he decided. 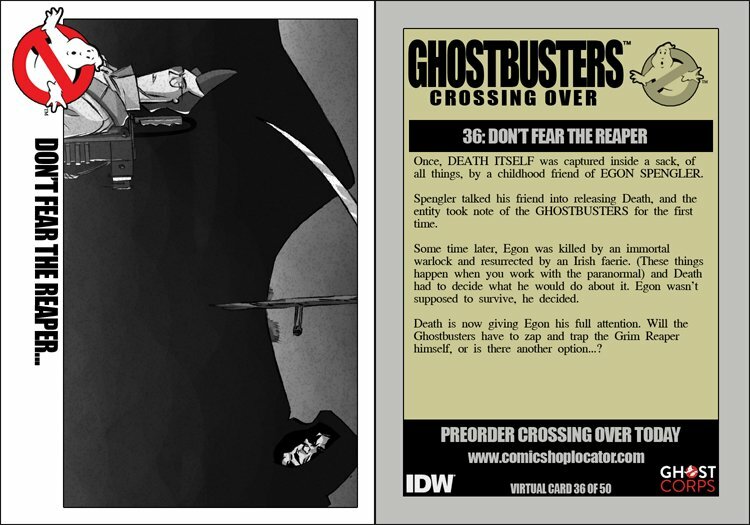 Death is now giving Egon his full attention. Will the Ghostbusters have to zap and trap the Grim Reaper himself, or is there another option...?